The future of mobility is another step closer: Series production of the first purely electric Porsche is set to begin next year. In preparation, the vehicle has now been given its official name: The “Mission E” concept study, the name currently used to describe Porsche’s complete electric offering, will be known as the Taycan. The name can be roughly translated as “lively young horse”, referencing the imagery at the heart of the Porsche crest, which has featured a leaping steed since 1952. “Our new electric sports car is strong and dependable; it’s a vehicle that can consistently cover long distances and that epitomises freedom”, explains Oliver Blume, Chairman of the Executive Board of Porsche AG. The oriental name also signifies the launch of the first electric sports car with the soul of a Porsche. 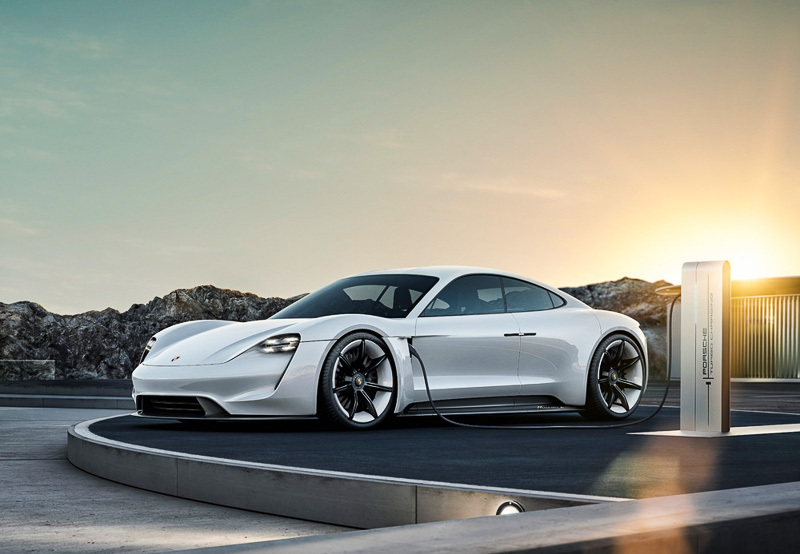 Porsche announced the name for its first purely electric series as part of the “70 years of sports cars” ceremony.